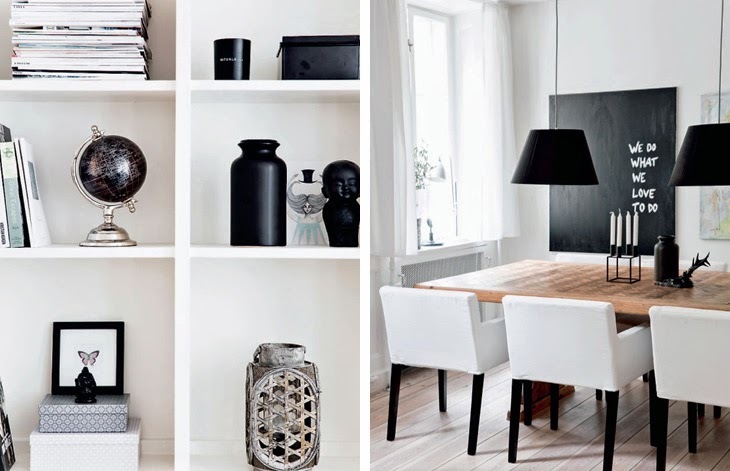 Britt Ahlefeld Engel decided to decorate her home in a black and white fashion. A built-in bookcase with base cabinets give space to various little objects. The grey sofa is from Idemøbler. 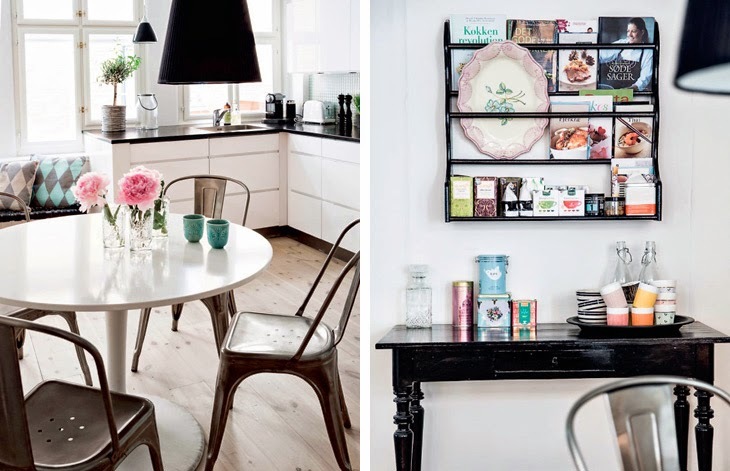 The family's favorite room is the kitchen, where a couple of Tolix chairs complement the dinig table from Ikea.